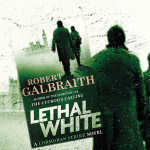 If you’re a fan of J.K. Rowling’s murder mystery series featuring detective Cormoran Strike and his partner Robin Ellacott, which Rowling writes under the pseudonym Robert Galbraith, you probably read Lethal White, the latest novel in the series, as soon as it came out in hardcover last September. 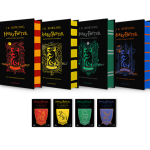 But if you haven’t read it yet (we recommend reading the entire series in order to appreciate the development of the characters and their relationships), or you read it but didn’t purchase your own copy, or you just want a paperback version to re-read it on the beach this summer, you are in luck: The paperback will be released on 18 April in the UK and June 11 in the United States. 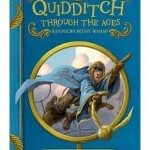 You can pre-order it now from Amazon.com in the U.S. or Amazon.co.uk across the pond.